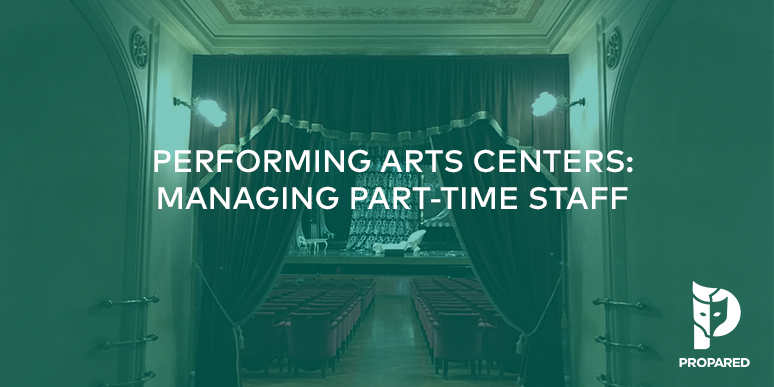 It takes a village to run a Performing Arts Center. Anyone who’s spent time working within the walls of one knows that technicians, ushers, box office, students, maintenance crew, and other part-time staff are a major part of the success of our venue. They’re responsible for executing the day-to-day tasks that keep our world running smoothly. Unlike full-time employees, your part-time employees have variable schedules which change constantly and availability isn’t always a given. It falls to us to track and manage the schedules, conflicts, and availability of a large roster of folks. This is time-consuming and adds a huge amount of complexity to our jobs. Whenever I see something that takes up large chunks of our brainspace or our day, I flag it as a potential opportunity for big improvement. It’s in these areas of our workflow where even a small tweak can mean huge gains in efficiency. So… how can we make the process of scheduling and communicating with your staff easier? I’m so glad you asked! Therefore, having all of your information organized and prepared will help facilitate a smoother process for booking your team. As much as we hate to admit it, when it comes to our part-time staff, their world doesn’t revolve around us. From your their perspective, your schedule isn’t really the most important one to them. They care about their own! Since you aren’t their full-time employer they will have other work obligations, classes, and personal appointments. Plus, technology is complicated already. The last thing they want is yet another place to have to go to figure out what they need to be doing. Remembering that you aren’t their only priority can help reduce friction and create better understanding and communication. What am I going to be doing tomorrow? Who do I contact when I get on site? Should I bring my lunch? Will I be working outside? The more your team knows about what to expect for the day, the less uncertainty they’ll have, and the more focused everyone will be on the job they’re doing. So, the next time you sit down to hire for your upcoming events take the time to really look at the bigger picture of the needs of your whole team. You’ll have a happier crew, faster responses, and less headaches. Good luck out there!